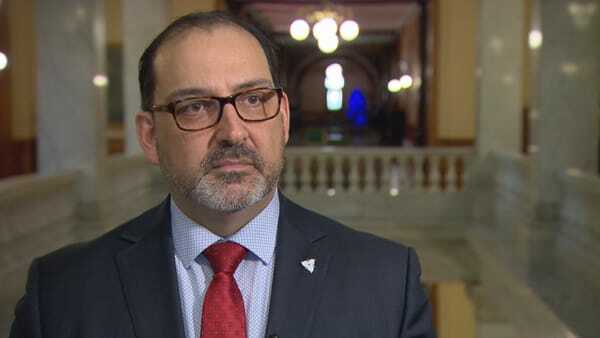 Ontario Energy Minister Glenn Thibeault says concerns raised by Auditor General aren't new. The bad blood between the Ontario government and auditor general bubbled to the surface once again Monday, with the Liberal energy minister downplaying a dispute between the auditor and the Crown corporation that manages the province's electricity market. Glenn Thibeault said concerns raised by auditor general Bonnie Lysyk during testimony before a legislative committee last week aren't new and the practices being used by the Independent Electricity System Operator are commonly endorsed by major auditing firms. "(Lysyk) doesn't like the rate-regulated accounting. We've always said we've relied on the other experts within the field as well, plus the provincial controller," Thibeault said. "We believe that we are following public sector accounting standards." Thibeault said that Ontario Power Generation, Hydro One and many other provinces and U.S. states use the same accounting practices. "We go with what we're being told by those who are in the field, like KPMG, like E&Y," he said. But a statement from Lysyk's office Monday disputed Thibeault's assessment. "The minister said the practices being used by the IESO are common in other jurisdictions," the statement said. "In fact, the situation with the IESO is different because none of the six other jurisdictions with entities similar to the IESOuse Canadian Public Sector Accounting Standards. Five of them are in the United States and use U.S. accounting standards." Lysyk said last week that the IESO is using "bogus" accounting practices and her office launched a special audit of the agency late last year after the agency changed their accounting to be more in line with U.S. accounting. Lysyk said the accounting changes made by the IESO impact the province's deficit, understating it by $1.3 billion as of the end of 2017, adding that IESO "stalled" her office when it asked for information and was not co-operative during the audit. Lysyk's full audit of the IESO is expected to be released in the coming weeks and is among several accounting disputes her office has been engaged in with the Liberal government over the past few years. Last fall, she accused the government of purposely obscuring the true financial impact of its 25 per cent cut to hydro bills by keeping billions in debt used to finance that plan off the province's books. Lysyk had said she would audit the IESO because of its role in the hydro plan's complex accounting scheme. "Management of the IESO and the board would not co-operate with us, in the sense that they continually say they're co-operating, but they stalled on giving us information," she said last week. Terry Young, a vice-president with the IESO, said the agency has fully co-operated with the auditor general. The IESO opened up its office to seven staff members from the auditor's office while they did their work. "We recognize the work that she's doing and to that end we've tried to fully co-operate," he said. "We've given her all of the information that we can." Young said the change in accounting standards is about ensuring greater transparency in transactions in the energy marketplace. "It's consistent with many other independent electricity system operators are doing," he said. Lysyk also criticized IESO's accounting firm, KPMG, for agreeing with the IESO on the accounting standards. She was critical of the firm billing taxpayers for nearly $600,000 work with the IESO in 2017, compared to their normal yearly audit fee of $86,500. KPMG spokeswoman Lisa Papas said the accounting issues that IESO addressed during 2017 were complex, contributing to the higher fees. The accounting practices the auditor is questioning are a "difference of professional judgement," she said. "The standards for public sector organizations such as IESO are principles-based standards and, accordingly, require the exercise of considerable professional judgement," she said in a statement. "In many cases, there is more than one acceptable approach that is compliant with the applicable standards." Progressive Conservative energy critic Todd Smith said the government isn't being transparent with the auditor general or taxpayers. "Obviously, they have some kind of dispute but the auditor's office is saying that the numbers that the government is putting out there are bogus. NDP energy critic Peter Tabuns said the Liberal government has decided to "play with accounting rules" to make its books look better ahead of the spring election. "We think public sector accounting standards are the basis for auditing the province's books," he said, adding that an NDP government would do it differently. "Everything else is trickery. We are not going to engage in trickery ... we're going to present the books honestly."